Brisbane gave Cavalia a standing ovation last night, as the world's largest travelling show had it's national premiere here. 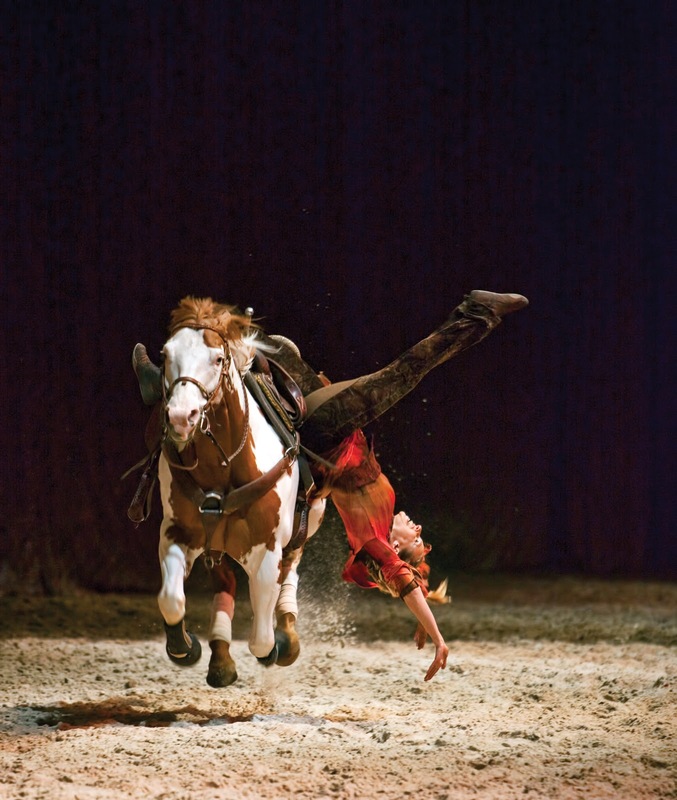 36 of the globe's most talented artists, acrobats, dancers and riders cavorted with 44 breathtaking horses, in a show billed as A Magical Encounter Between Human And Horse. I'd wondered how Cavalia's founder and artistic director Normand Latourelle would bring his dream alive. A 50 metre stage large enough for horses to gallop at full speed, at times running free, allowed the dream burst into life. The action was set against a 60-metre-wide digital backdrop, that at times leant a fairytale-esque air to the show. Sometimes it was hard to know where to look: Simultaneously to the sides, back, front, and above the stage, actors and horses performed. And guests at the front occasionally got sand kicked in their faces or got snowed on! Occasionally the action dragged a little, but the camaraderie between humans and horse, the skills, and the gifted musicians, including a haunting Pamela Boyer on vocals, seamlessly made up for that. Disclosure: Maid In Australia received two free tickets to Cavalia for the purposes of this review. Pre-show dinner with a bunch of beautiful bloggers and their partners at Indian Mehfil Toombul. Delicious!